Add a little sensual, sassy flare to your day with your Alice + Olivia™ Stacey with Bangs Hair Tie. Strong elastic hair band decorated with classic Stace Face silhouette. Additional Stace Face gold-tone charm. 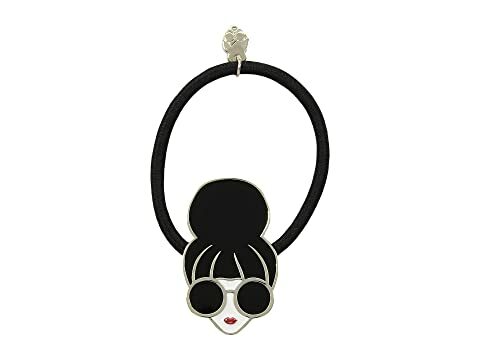 We can't currently find any similar items for the Stacey with Bangs Hair Tie by Alice + Olivia. Sorry!